In the 1990s Finland’s most conspicuous export was mobile phones, but in classical music they also seemed to be exporting a disproportionate number of world-beating conductors and string players. Our own very multi-national Australian Chamber Orchestra has two outstanding principals from that far-north nation of 5.5 million people (and over two million saunas): the violinist Satu Vänskä and the cellist Timo-Veikko Valve. Why so many fabulous fiddling Finns? A large factor may be a teaching method established by two Hungarian brothers, Géza and Csaba Szilvay, at the East Helsinki Music Institute in the 1970s. 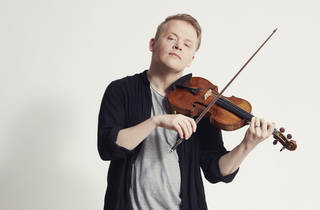 One tot who started using their Colourstrings method at the age of three was Pekka Kuusisto, now highly regarded worldwide, primarily as a violinist but also as a composer, conductor and artistic director. He so impressed Richard Tognetti, the ACO’s artistic director, that he has been invited not merely as a guest player, but to curate a concert touring Australia this month. 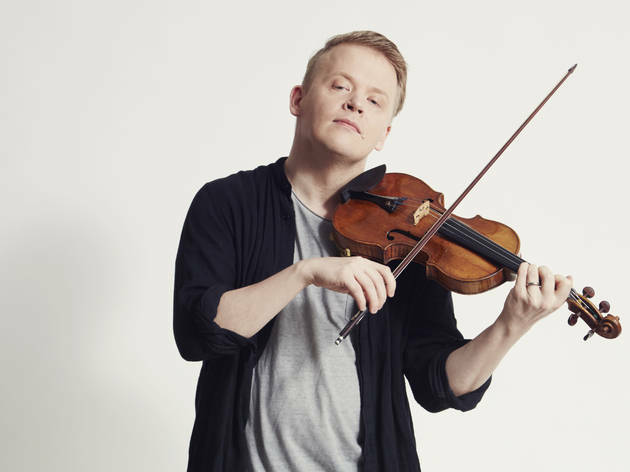 The program Kuusisto devised is diverse even by Tognetti’s eclectic curatorial standards, with a very unusual combination of composers – and none of them Finland’s national hero Sibelius. It ranges from contemporary American folk music by Sam Amidon and Nico Muhly, to Leoš Janáček’s 1923 ‘Kreutzer Sonata’, based on Leo Tolstoy’s 1889 tale of jealous rage. (This last work earned the Russian novelist disapproval from U.S. President Theodore Roosevelt as a "sexual moral pervert"). The day we telephoned Kuusisto in Helsinki and discussed moral choices and American music happened to be January 20, when Donald Trump took the oath of office. To convey his thoughts on the occasion, Kuusisto had to recall a comment by the controversial German composer Karlheinz Stockhausen (1928-2007), who notoriously described the terrorist attacks of 11 September 2001 as “the greatest works of art,” ignoring the moral dimension of human suffering. Kuusisto says Stockhausen spoke “way too soon,” but if you judge an artwork “by how effectively it makes you see the world from another person’s viewpoint, then I kind of understand what he meant.” Using this purely aesthetic criterion, Kuusisto suggests that the entire existence of Donald J. Trump can be viewed as “one giant piece of performance art,” and Trump as “the greatest performance artist in history.” Roll over, Louis XIV. So what lesson about reaching a wide audience can a musician, composer and artistic director learn from the master communicator and Tweeter-in-Chief? “When you want to write a fantastic pop song, the key ingredient is to have something really irritating in it.” In other words, make America grate again.